With all the common names plus the Latin names for plants in your garden, it can get a bit confusing when disussing what's going on with the plants around your house. Terms like "bush" and "shrub" may seem straightforward, but, if anything, they might be more confusing due to a lack of specific definition used across the board. The Merriam-Webster Dictionary defines a bush as "a low densely branched shrub." A shrub is defined as "a low, usually several-stemmed woody plant." The circular reference linking the definition of a bush to that of a shrub doesn't do much to shed light on the subject, other than to indicate that a bush is likely a sub-set of shrubs. 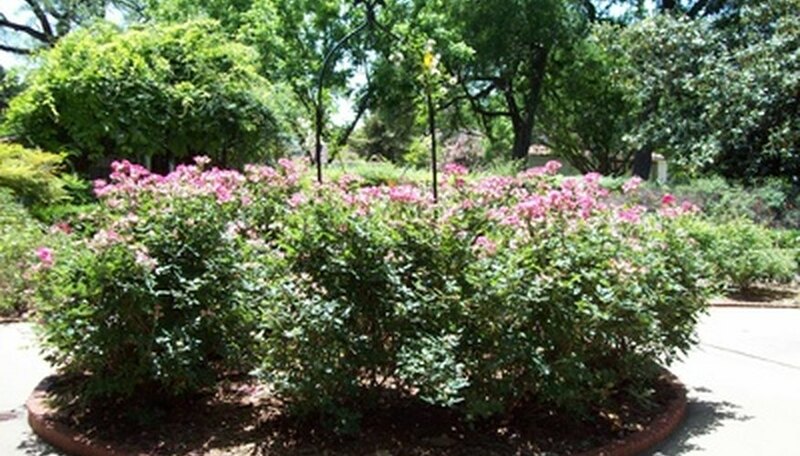 According to the dictionary, bushes are types of shrubs and shrubs are low, many-stemmed plants. Horticulturalists prefer the term "shrub" to refer to the plants in the garden, whereas the untrained amateur gardener may use the term "bush" interchangeably with "shrub." The difference may also be in the type of plant and how it grows so that shrubs will always sprout multiple stems, but bushes can either grow out of one stem and branch or have many stems. A low tree with many stems could be considered a bush, but if the same plant were trimmed to have one trunk at the ground with branches higher up it would be called a tree. In addition to referring to a type of plant, Merriam-Webster points out that "bush" also refers to the manner in which plants grow, so that something can be bushy, regardless of whether or not it's defined as a shrub. Certain grasses grow in a bushy fashion, but they lack the woody stems required to be a shrub, just as some trees can grow in a low-bushy manner, but are also not a shrub. In designing and working your garden, you will likely refer to one plant as a shrub, but a group of shrubs as a bush or hedge. If you go to the nursery and ask to see the shrubs, you will be pointed to the woody, multi-stemmed plants that you can use to landscape your property. Bushes are generally a result of planting shrubs or some other type of plant, for example sword-grass, which may or may not be a shrub, technically speaking. What Stage of Flowering Do the Buds Begin to Swell?